We may have taken the long route to Portland, but there was just no way we were heading to Oregon without first stopping to visit our all-time favorite cranberry farm. 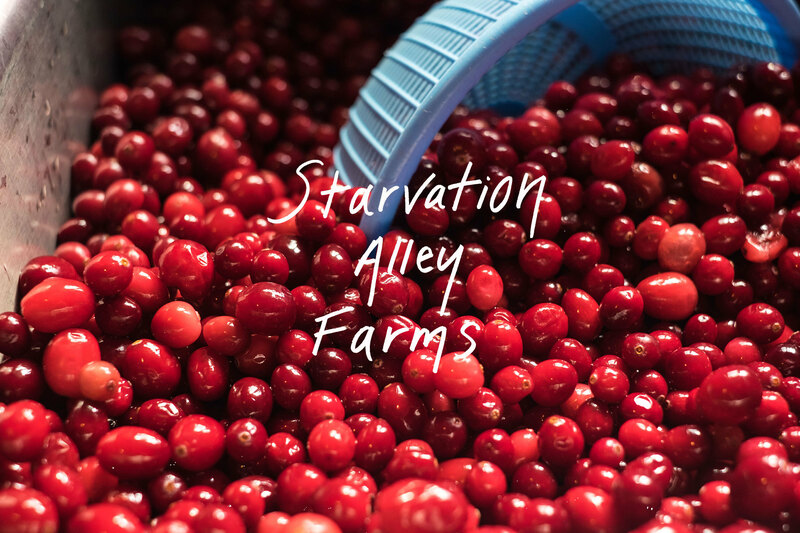 We snuck over to the coast to get a tour of Starvation Alley – Washington’s first organic cranberry farm just outside Long Beach, WA. The folks at Starvation Alley Farms showed us around a few of their bogs (and brought with them a few of their bog dogs!). We immersed ourselves in the complex world of cranberry farming and everything that makes Starvation Alley Farms so unique - from how they help other local cranberry farmers transition to organic to the strategic flooding of the bogs that insures the cranberries float to the surface for harvest. The berries weren’t ready for harvest so we got a special tour of the bogs and dyke systems when they were dry. Afterwards, we made our way into the quaint PNW beach town of Long Beach to check out their cranberry cold pressing and tasting room. We were fortunate to arrive just in time to get to watch the juicing process and of course enjoy a sendoff drink– a tart cranberry lemonade. Long Beach claims to be the world’s longest beach, although the Internet strongly disputes that. Either way, we took Goldie for a celebratory spin on the dark, hard sand along a very cold section of the Pacific Ocean. We won’t go too deep into ocean clichés, but there’s just something about it right? Its expansiveness makes way for open hearts and open minds. We deftly steered Goldie back onto the pavement, picked up a cheesesteak sandwich at a shack called Surfer Sands – homemade bread, browned onions and peppers, multiple hot sauce brands to choose from… our kind of place – and began making our way to Portland via the ever historic Astoria, OR. Our first stop in PDX was Bit House Saloon for… you guessed it… a cranberry cocktail with our friend Alana from Starvation Alley Farms. 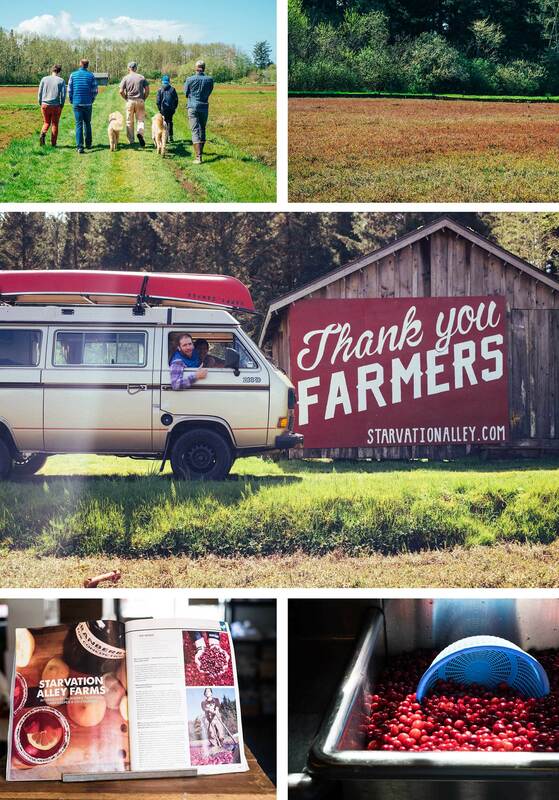 She’s worked her magic with local chefs to get organic cranberries into some amazing dishes, sodas and adult beverages all over the northwest. The cocktail was a perfect mix of sweet and tart, poured over glass full of shaved ice. 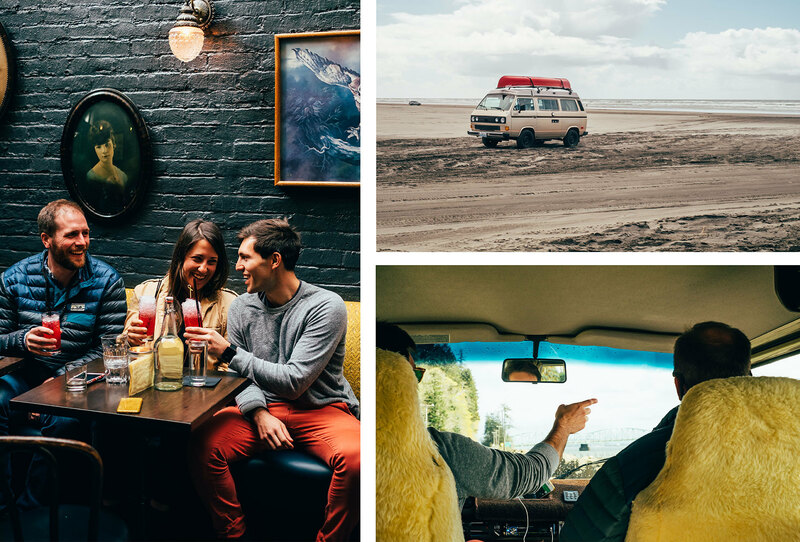 It was the perfect complement to the chill van vibes we were sending south.